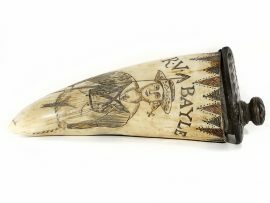 ‘Orca Cow and Calf’ black and white scrimshaw on ancient walrus tusk ivory by David Adams. Excellent choice of subject matter by well known scrimshander, Adams. 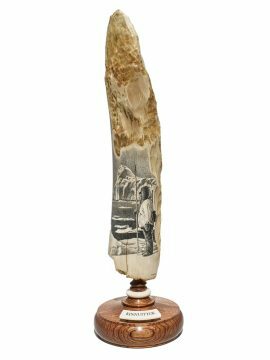 This piece of ancient walrus tusk ivory has absorbed minerals over the hundreds of years it was buried. The very dark colors of the ivory perfectly compliment the black and white orcas. Nice.